There’s no more need to carry a bulky and excessively-stuffed wallet. 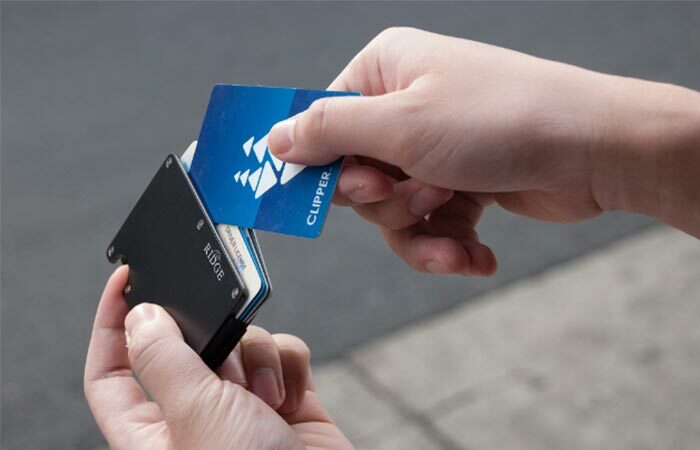 Ridge Wallet is minimalistic, very slim and can fit your cards as well as cash. Probably the most important feature besides the size is how tough it is. Ridge Wallet comes in three different options, depending on the material- aluminum, lightweight titanium, or carbon fiber. All three will secure your cards as much as possible while allowing you to easily customize it. You can do this by using either a steel money clip or an elastic band for carrying cash. 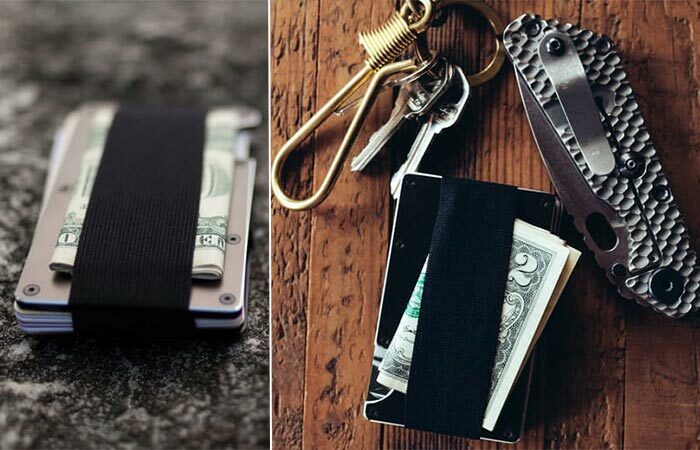 This wallet comes with either an elastic strap or a clip for attaching the cash. The wallet has an expandable track that can fit 1-12 cards. As for the size, its height and width are of a credit card and it weighs 2.5 oz. Another handy feature is that it blocks RFID-skimming devices meaning it additionally protects you from credit card and identity theft. This RFID blocking metal wallet is very slim and can fit up to 12 cards. Also, thanks to its smart design, you’ll easily get the card out, just push the small opening at the bottom with your finger. You can get the wallet in three colors- black, grey and white.